Below is my Ballot for the 2012 General Election. I tend to be conservative, believe strongly in limiting revenue to all government entities including the School Board. The purpose here is not to tell you how to vote but to tell you how I voted. Please take the time to inform yourself on all of the issues especially the Amendments and the School Tax referendum. Do not let the length and complexity of this ballot keep you from voting. Every race is important and many, including the Presidential election, will be very close. If you are going to the Polls to vote on election day, write your choices down or load them in your smart phone. Your vote will count be sure to have your say. 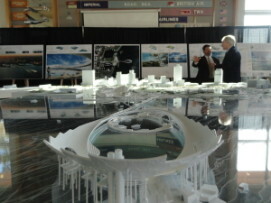 A lot of thought went into the Pier Visioning process. "The Lens is not a pier. The Pier Task Force knew what a pier was and what a pier should be. I urge you to pick up your copy of the Pier Advisory Task Report of June 2010. Turn to page 13 "Case Studies" which contains photographs of seven successful piers. Please read the case study conclusions on that page. One of those conclusions is "All have either amusement type program or very specialized program as the predominant draw." Our Municipal Pier, all the piers studied by the Pier Task Force, and all of the pier alternatives proposed by the Pier Task Force, have the look, feel and "program" of a real pier. It is immediately obvious that The Lens does not have the look and feel of a real pier and it is equally obvious that The Lens will lack the amusement feature which was touted as the predominant draw. The reef which The Lens was to focus on would not provide much amusement by reason of the natural turbidity of Tampa Bay. It may be there, but people wouldn't be able to see it." "Our vision is for a vibrant Pier Complex that appeals to both local residents and visitors throughout the year. It should speak to our city's beautiful aquatic setting, and of spectacular views of our cityscape and the Bay. The Pier should complement the larger downtown waterfront and serve as its front door, centerpiece, and anchor. The architecture of the main building should reflect our history and unique identity as a place and City, and be a worthy symbol of our great City". It sounds to me like the Pier Task Force had it right. In a paper entitled "The Lens" - We Can do Better, William Ballard says "Michael Maltzan first set foot in St. Petersburg on September 19, 2011. His contest winning submission was filed by the November 30, 2011 deadline." That's just 72 days counting weekends. That seemed like a pretty short time window to come up with such an eclectic design. Surely there had to be some motivation for the concept, so I grabbed my camera and headed to the Pier for some inspiration of my own. Assuming Maltzan and his team took some time to swing through the Dali museum on the way to the Pier, the pictures above may help explain the motivation and concept. All of that dripping and looping had to come from somewhere. City Council, are you really going to build this thing? Really? It's all over the newspaper, the blogs and is a general topic of conversation in St. Pete, what is going on at City Hall? A lot of the writers, me included, have hung the blame on Bill Fosters' lack of leadership. And, as Mayor that's where the buck stops. It is the Mayors' job to lead, and pretty much everyone agrees that he has come up woefully short in the leadership column. Bill gets up every morning truly believing there is a lot of good in everyone and if he just waits long enough they will do the right thing. Things just don't work that way. especially at City Hall. A while back I posted "Does Bill Foster Really Want To Be Mayor of St. Petersburg" on SaintPetersblog. It is still a relevant question. Mayor Foster has lost the respect of the staff, and more importantly they don't have any sense of fear that they may be held responsible for what they do. City Council sees the Mayor as a wishy washy adolescent who inadvertently got elected Mayor. Virtually nobody on the staff takes Bill Foster seriously. I know I was there. City staff members have always had their own agenda, from Codes Enforcement to Parking to the Police Department the people running every City Department have their agenda and they work at it quietly all the time. Left without leadership they move in their direction. The two really strong administrative leaders, Tish Elston and Mike Connors cannot seem to get any traction with the staff, most likely because Mayor Foster won't back them up. Unprepared and politically motivated, City Council members pounce and the whole organization looks like a very bad joke. The child like sniping and condescending approach of the Mayor only infuriates Council and gives the public that sinking feeling in their stomachs. What's Going On At City Hall? You're just seeing the proof that electing an adolescent adult to run a big City just doesn't work. And it's not going to get any better until there is a new Mayor and a couple of new Council members. Have your say. Be sure to get a petition for the Pier Referendum and complete it properly. Information at Stop The Lens. It has been just over 1 year since the Brinks Corporation donated an armored truck to the St. Petersburg Police department to be converted into a mobile video surveillance vehicle. City Council approved the funding months ago and Police Chief Harmon promised City Council they would "see it" in July. PD management has stalled, delayed and put off deploying this crime prevention tool. Why? No one seems to know. Council member Nurse has asked repeated questions but gets the typical Chief Harmon generalities and lame excuses. I built the first prototype in about 6 weeks so why is this one taking so long? The simple answer is the Police Chief and his three assistant chiefs just don't want the thing on the street. They are not technology savvy enough to figure out how to use it, and scared to see what it might actually find. Their approach follows the Chuck Harmon model "if I don't see it, I don't have to act". Or more appropriately, I can't hold the truck accountable for what it might see, so I would actually have to do something. Mayor Foster promised the expanded use of technology in his campaign, but interestingly not one new piece of significant law enforcement technology has been deployed since his election. Only two things motivate Chuck Harmon, fear of personal responsibility and boot you know where. That's all you've got work with Mr. Mayor, otherwise it will be at the PD as it has been since you took office - status quo, delay, delay, excuse, delay. Where is the Brinks Truck? Last sighting it had a nice new white paint job, no Police markings and was sitting peacefully in a bay at the fleet maintenance lot with no one working on it. Mr. Mayor, it is time to stop grinning widely and start talking to your Police Chief firmly otherwise all of those Public safety campaign promises are just so much smoke.